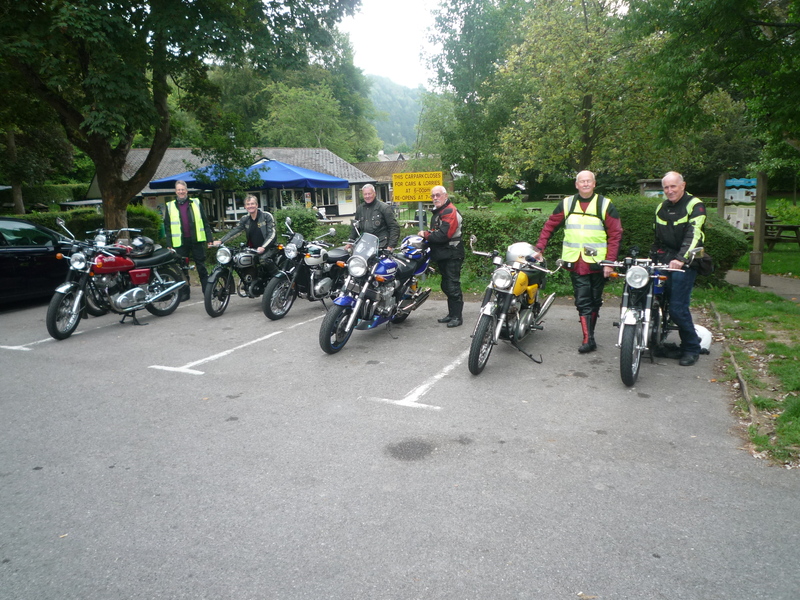 The Surrey section met at Rykas for another ride out to Jacks Café on Wednesday 5 September. We meant to have left at 10.30am but we had to wait for other members to arrive. The weather that night had not been that good as it had been raining very heavily so it may have nearly been called off. I left at about 8.45am and filling up the Norton Atlas Scrambler’s petrol tank in South Croydon it only took me about forty minutes to get to Rykas. 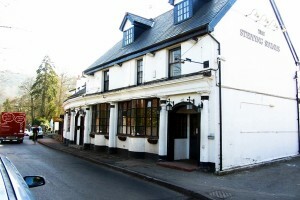 The rain did appear on the way through Banstead but it soon receded and then the day started to brighten up. 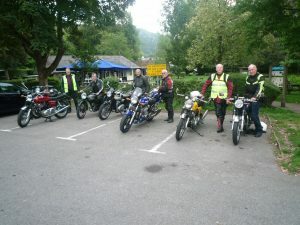 John Blades was our ride leader on his Commando and we used the drop off system going there and back. 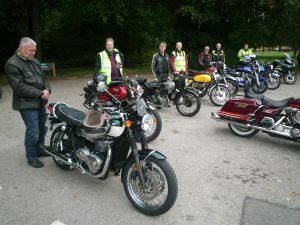 We all stopped of at Newlands Corner as I had never been there before and I wanted to go so John Blades took us all via the A25 then up the A247 to Chobham, and then onto Camberley, and then the A30 and Jacks Café. There we all had fish and chips sat a while and then looked at all the bikes that had come along on the day. The weather did get so much hotter and Simon Smith took the liner out of his jacket it had got that hot. We also met Max Groves who had also turned up as he does not live that far from Jacks Café. Those that needed extra petrol filled up again, and then we all left for Huber’s Garage on the way back. John Blades took us all through the back lanes and riding behind Chris Barraclough brought home to me how good Norton bikes handled and how good Norton’s were at building really good frames for their bikes. It was like watching poetry in motion with Chris riding the corners. John’s Interstate developed a rather bad smoking problem with the right had exhaust emitting large volumes of blue exhaust smoke. The old joke being behind an Ariel Arrow from the 1960’s came to mind. Once at Huber’s Garage we decided to see what ails John Interstate. So out came the spark plug spanner, and a check of the spark plugs. One of them the right hand side had a huge chunk of carbon on it, and John took a picture of it. A quick clean of both spark plugs, and then checking the gaps, and then a check of the carburettors mixtures. Both mixture screws were too far in so we screwed them one and a half turns out and it did help. John then proceeded home as Graham and Ron had left us at Jacks Café. Ken, Simon I rode back down the A25, and then Simon left us and Ken and I rode onto South Croydon. It was a great day out and John Blades does an amazing job as a ride leader. He had given us all maps in case any of us had got lost.